Beautiful, clean rooms with a great view. Awesome view and very gracious hosts! Las Turquezas is perfectly located for a holiday in Puerto Escondido, as the hotel is clean, quiet, well-equipped, and near to beaches and restaurants. The apartment we used was clean, comfortable and spacious for my family of four. The pool steps outside our door was an added bonus. We enjoyed the pristine beaches in both directions, proximity to the central market, restaurants in Puerto Escondido, strolling, feeding the baby turtles, sunsets on the rooftop, food and drink service on the beach, surfing lessons for my adult children, then bioluminescence trip to a nervy lagoon, etc. We had a wonderful time and hope to visit again.. The accommodations--in the apartment, on the patio, and poolside (everywhere!) were beautiful, clean and very comfortable. It was very close to all amenities, but not in the middle of alot of craziness. Thank you for a great time. We will be back. This is a great property in a great location. The hosts were so helpful and easy going. Katrin and Lucano were really friendly and made us feel most welcome. 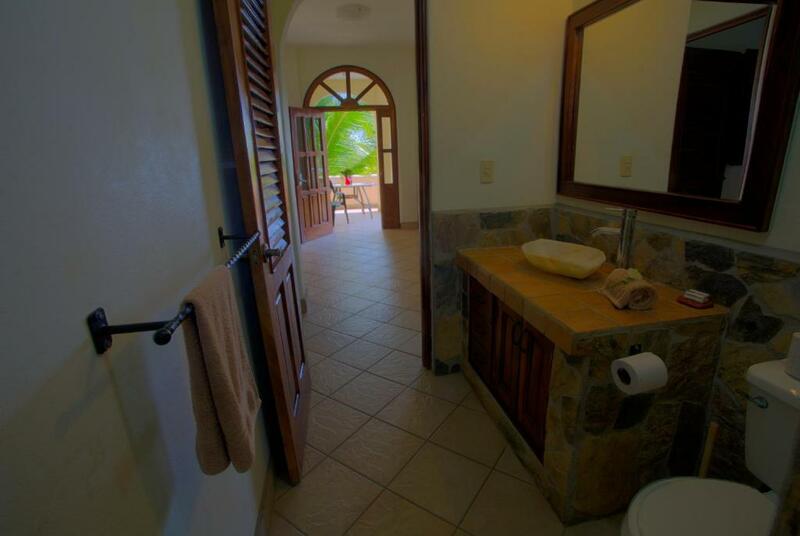 We loved how private and secure the place felt, it was easy to relax and feel at home. The nearby beaches are just beautiful and I love how each one has its own character. There is also a tour booking place just a short walk away and we set up a couple of great trips from there. I would definitely recommend this place for an idyllic break by the sea. The apartment is lovely. It's a great size for 4 people and there were only 2 of us. The kitchen was clean and well set out. The pool is really nice. Hammocks are great for mid day siestas. Location great. Pool and garden area beautiful. Apartment spacious. Wifi speed good in unit and property. Secure property, and problems with unit lock were corrected when we reported it. Lock in a great price for Las Turquezas – rated 9.1 by recent guests! 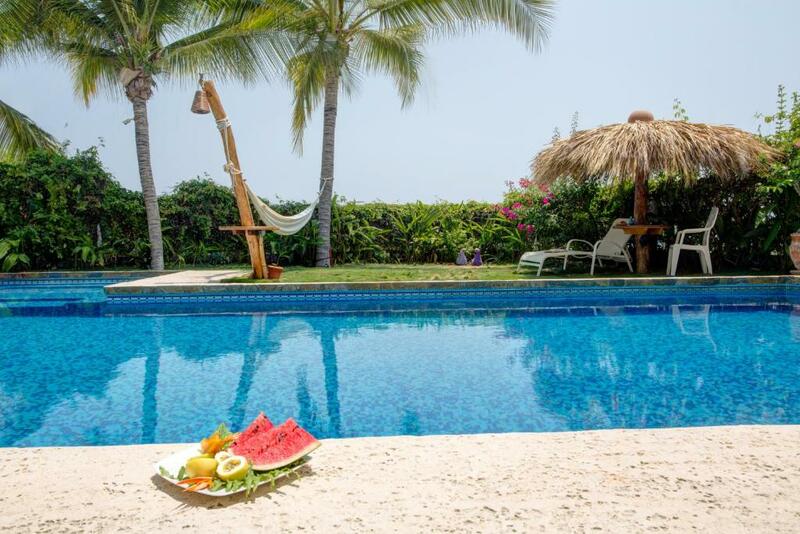 One of our top picks in Puerto Escondido.Offering a garden, Las Turquezas is located in Puerto Escondido, 1.9 mi from Zicatela Beach. 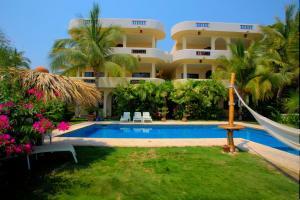 Downtown Puerto Escondido is 1 mi from the property. Free WiFi is featured throughout and free private parking is available on site. The pet-friendly accommodations is air conditioned and features a seating area. There is also a kitchen, fitted with an oven and microwave. A toaster, a refrigerator and stovetop are also offered, as well as a coffee machine. Bed linen is provided. 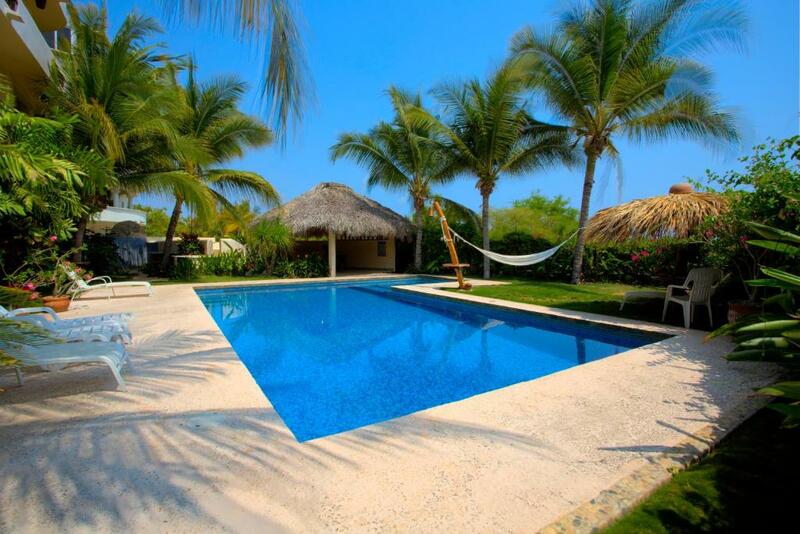 Las Turquezas also includes a year-round outdoor pool. 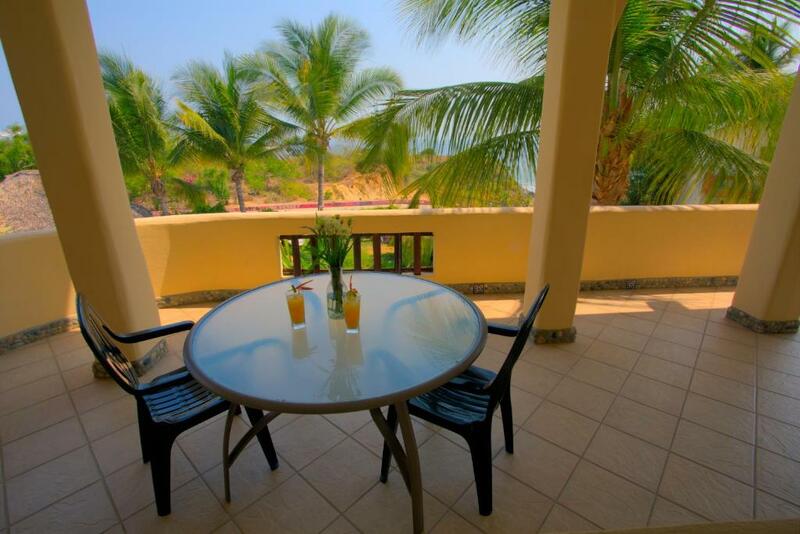 Commercial Walkway is 1.4 mi from Las Turquezas, while Carrizalillo Beach is 2,300 feet away. When would you like to stay at Las Turquezas? This apartment features a patio, tumble dryer and DVD player. This apartment features a DVD player, air conditioning and kitchenware. This apartment has a view, DVD player and dining area. 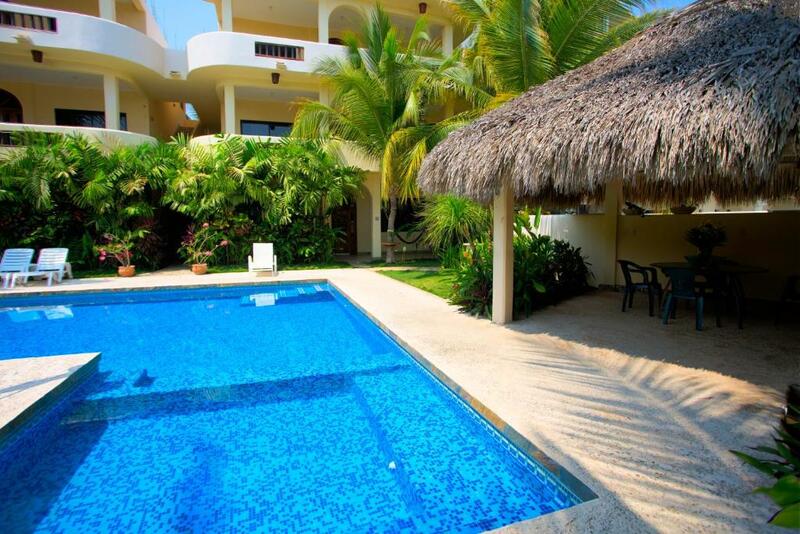 Apartments Las Turquezas is a family business. We want our guests the best time they can have in Puerto and to get to know all the beautiful places and everything Puerto has to offer for them... so we ll check on our guests daily and make sure they have all the information they need and all is fine with the Apartment. 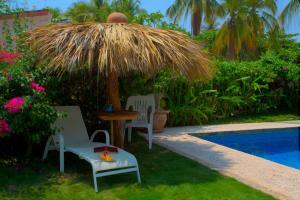 We are easy going very reliable people who like to enjoy Puerto Escondido's hidden spots. 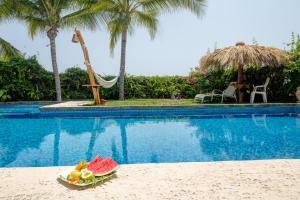 We love to make our guests feel at home and to help them to get the most out of there time in Puerto. We like to go swimming, snorkeling, surfing, paddle boarding, go on river hikes, get away to the close mountains or explore new spots and beaches around this town. We enjoy going to cultural events, meeting new people, laugh and enjoy life with our kids and eating Puerto's healthy fresh jummy food. Lucano is a trained massage therapist and a free lance photographer who loves to travel and to capture the beauty of nature and and of people. We offer to our guests special deals on his relaxing massages in the comfort of your own Apartment. Our neighborhood is very friendly, safe and peacefully. It has a stripe full of little nice restaurants, few bars, coffee places and little stores, with the nicest swimming beach in town in walking distance. In the winter month: (November till April ) theres a weakly Open Air Cinemar on the beach ( entrance is free) at Bachocho beach( 10 min walking distance) AS well at Bachocho beach are located two Beach clubs , one of them has a cute beach Restaurant with jummy food. House Rules Las Turquezas takes special requests – add in the next step! Please inform Las Turquezas of your expected arrival time in advance. You can use the Special Requests box when booking, or contact the property directly using the contact details in your confirmation. My partner and I booked the studio for the both of us. It was a mistake, because of different reasons: - it was too hot in there: It is very badly isolated, air circulation is really poor, and it receives the sun directly all day long , so you couldn’t spend time there and sleeping was hard because it was too hot. The AC wasn’t enough. - The studio is placed in the back of the apartments and some other guests even came to our room early in the morning thinking that it was the service room/ office. Furthermore, we were supposed to have Netflix in the room (only thing working on the TV), but that didn’t work either. Also, the payment system makes the room around 10% more expensive (PayPal or bank transfer fees- which you are obliged to go through as they require advance payment). The apartments looked better, but REALLY, AVOID THE STUDIO. It was really a downside in what could have been a perfect vacation. It was a wonderful dropping off place for a few days in Porto as part of a journey driving through Mexico. As an experienced traveler in Mexico I’d highly recommend it. Not comfortable beds. One is suitable for one person not couple. Upper suits is better and newer than down. Length of the bed was small so my tall husband did not sleep that well. Booked a room with sea view, got room with patio. Beds lumpy and uncomfortable, and so was the pillow. Towels raggedy. Sink, water jug and ice trays leaked. Across the street was littered with garbage and plastic bottles. Our host was more interested in money than in us as guests. Would not move us to empty room with sea view because it was "too much trouble". Loved the scorpion in cabinet upon arrival. Generally needs update. Patio chair covers worn and stained. Pool o.k. Certainly not as nice as pictured. Expensive for what it is. Tiny hard pillows on bed. Hard bed but this is Mexico so mattress on concrete platform. Small hand towels. No really hot water - may be due to time of year as solar heating of water. 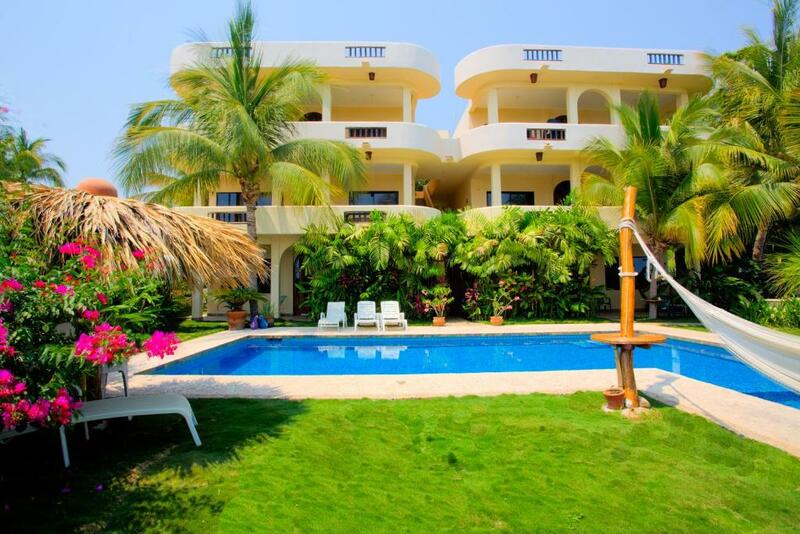 Las Turquezas is truly a gem in Puerto Escondido. The location is walking distance to multiple beaches and restaurants. The view from the property is awesome for sunsets! The owner is super friendly and very quick to respond to any concerns. They didn't provide beach towels; had to bring our own. But we were advised repeatedly of this well in advance of our trip. We checked-in early (at 7am), the host gave us all the necessary codes a day or two before the arrival. Everything was great!